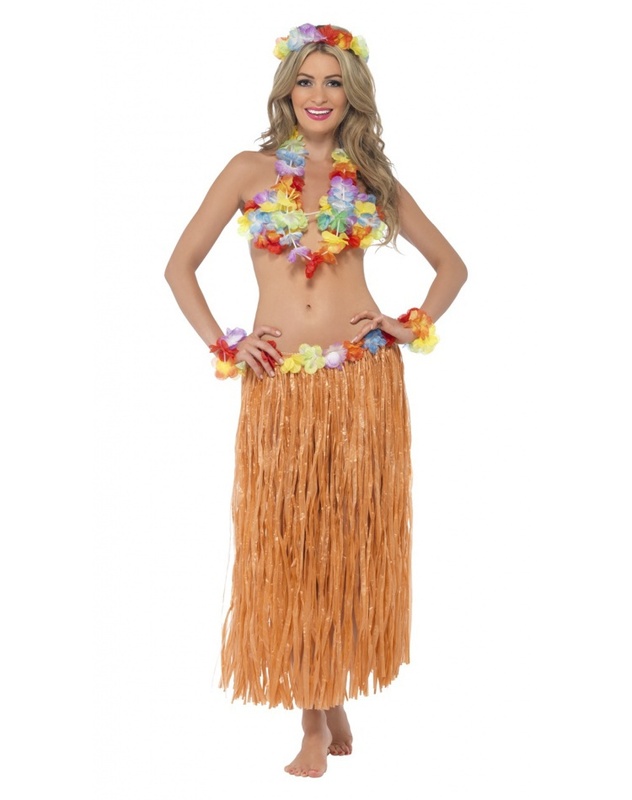 Our hula girl costume includes a fake grass skirt, headpiece, wrist cuffs, lei, and bra. The wrist cuffs, bra, headpiece and skirt are adorned with faux flowers to match the lei. This womens Hawaiian costume makes a great hula dancer costume or a fun parrothead outfit. 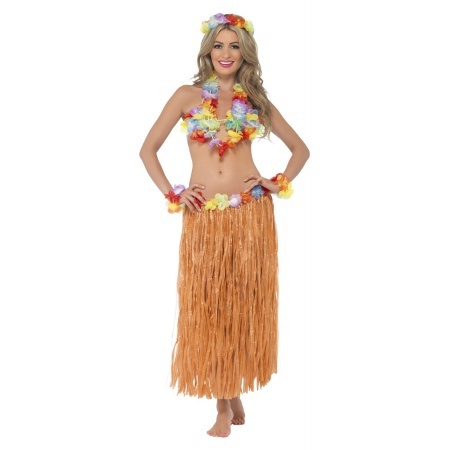 This hula girl costume comes in adult size Standard.